One of the world's rarest turtles has sadly passed away. The Yangtze giant softshell died in a zoo in southern China, leaving just three more of her species left alive. 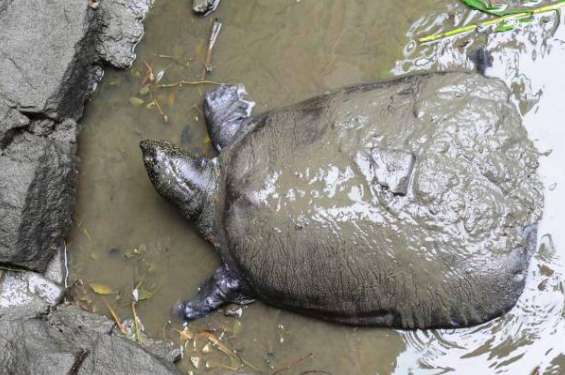 The turtle, otherwise known as a Rafetus swinhoei, died in the Suzhou zoo over the weekend. She was over 90 years old. BBC News reports that scientists had tried to artificially inseminate the turtle before she died. 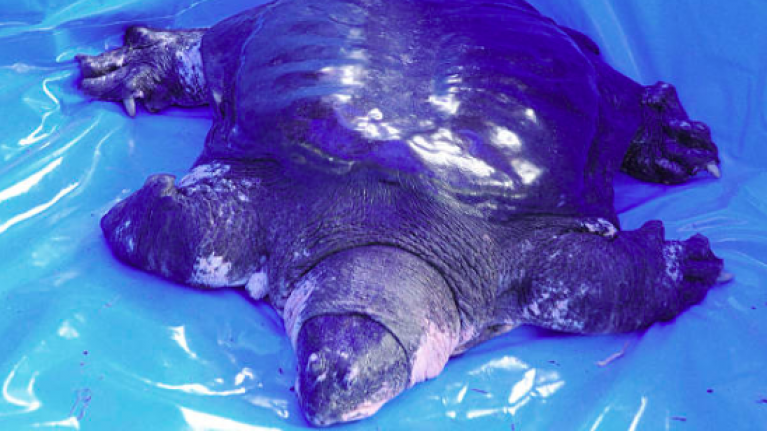 This was the fifth time the turtle had been artificially inseminated, but experts said she had been in perfect health before and after the operation. She passed away the next day. 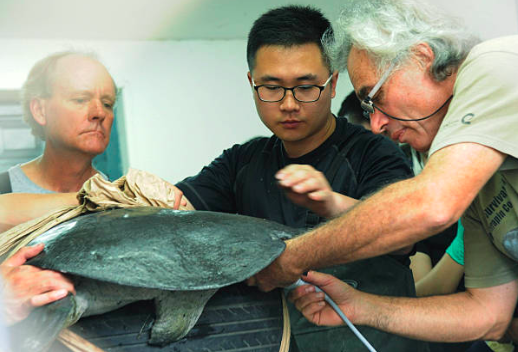 Scientists are now investigating the turtle's cause of death and collecting her ovarian tissue for further research. There are now only three Yangtze giant softshells left in the world. One is a one hundred year old male who is still living in the Suzhou zoo. The other two are living in the wild in Vietnam. 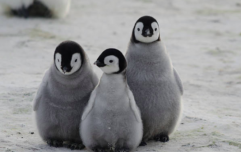 The species has depleted so much over the years due to the destruction of its habitat, overfishing, and hunting.